Tax deductions aren’t the only things to consider when looking for ways to reduce your 2018 tax bill. 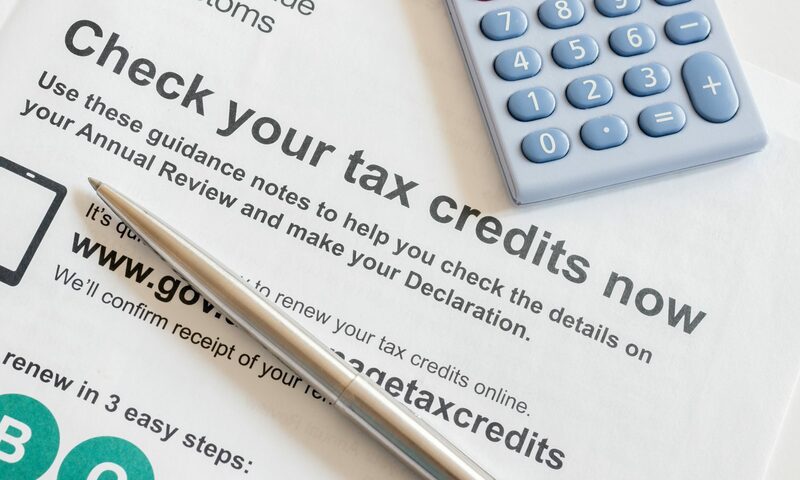 There are a number of tax credits that you may be able to claim. A tax credit reduces your tax liability dollar for dollar (and, in some instances, may be fully or partially “refundable” to the extent of any excess credit). Parents of children under age 17 may claim a child tax credit of up to $2,000 per qualified child. The child tax credit is phased out for higher income taxpayers. A different credit of up to $13,810 is available for the payment of qualified adoption expenses, such as adoption fees, attorney fees, and court costs. The credit is phased out at certain income levels, and there are certain restrictions as to the tax year in which the credit is available. Look into claiming the child and dependent care credit if you pay for the care of a child under age 13 while you work. It’s available for 20% (or more) of up to $3,000 of qualifying expenses ($6,000 for two or more dependents). This credit isn’t confined to child care expenses — it may also be applicable for the care of a disabled spouse or another adult dependent. The American Opportunity credit can be as much as $2,500 annually (per student) for the payment of tuition and related expenses for the first four years of college. A different credit — known as the Lifetime Learning credit — is available for undergraduate or graduate tuition and for job training courses (maximum credit of $2,000 per tax return). You’re not allowed to claim both credits for the same student’s expenses, and both credits are subject to income-based phaseouts and other requirements. One credit that taxpayers sometimes miss is the credit for excess Social Security tax withheld. If you work for two or more employers and your combined wages total more than the Social Security taxable wage base ($128,400 in 2018), too much Social Security tax will be withheld from your pay. You can claim the excess as a credit against your income tax. The alternative minimum tax (AMT) credit is another credit that’s easy to overlook. If you paid the AMT last year, you may be able to take a credit for at least some of the AMT you paid. The credit is available only for AMT paid with respect to certain “deferral preference” items, such as the adjustment required when incentive stock options are exercised. Your tax advisor can provide more details regarding these and other tax credits that may be available to you. Tania has more than 17 years’ experience working with individuals, small businesses, and home health care providers as well as the State and Federal entities. As a fellow business owner, she knows it can be difficult to manage all aspects of a business. Tania’s goal is to become a trusted advisor and financial business partner for her clients while offering personalized accounting and tax service and support. She loves bringing order and efficiency to small businesses. All rights reserved. This material, and other digital content on this website, may not be reproduced, published, broadcast, rewritten or redistributed in whole or in part without prior express written permission from T. Williams & Associates.